Guus Hiddink has transformed the fortunes of Chelsea, but Manchester United remain stuck in neutral. At Chelsea, Guus Hiddink seems to have calmed the waters, and the team’s easy victory against an admittedly depleted Crystal Palace team showed that the ghost of Jose Mourinho has been well and truly laid. One of Hiddink’s important moves has been to restore to the Chelsea midfield the dynamism of the previously neglected Jon Obi Michel. But who pray exactly is Michael Emanolo? The Nigerian ex-international footballer now has plainly an important role in the hierarchy and seems to have won the essential trust and support of the dominant owner, Roman Abramovich. 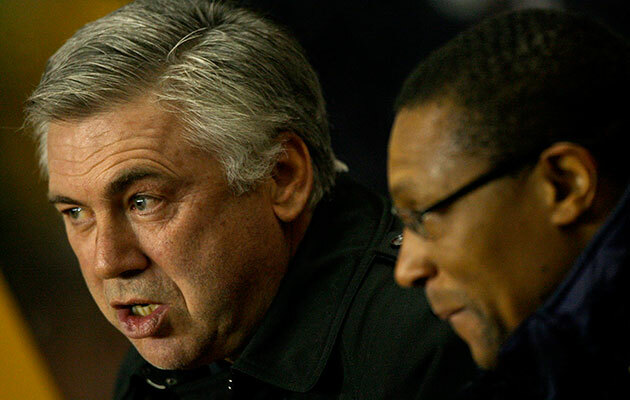 Michael Emenalo (right) was largely ignored by Carlo Ancelotti (left) when he was in charge of Chelsea. Yet when he arrived the story was some years ago, it is true that the only coaching he had done so far done was of a girls’ team in the United States. It was also bruited that the then manager, Carlo Ancelotti, now back in harness again, was seen to ignore him when during a Stamford Bridge match, they sat beside one another on the bench. Nor were his relations with the now deposed Mourinho seemingly very cool. Now he has become something of a spokesman for the club. 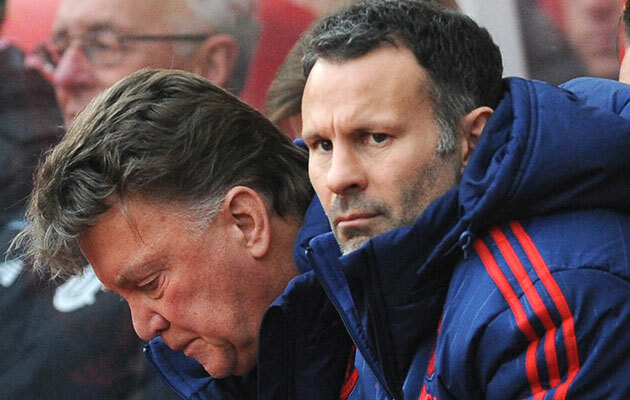 Is Ryan Giggs (right) the man to take over from Louis Van Gaal (left)? Ryan Giggs as Manchester United manager? Surely if Zinedine Zidane can be promoted from juniors’ coach at Real Madrid Giggs, who took over competently at Old Trafford for a while the season before last, has as good or better a claim. The chief executive at United Ed Woodward is clinging to an unimpressive Louis Van Gaal like the grim death to a knobstick. The utterly meagre 2-1 victory at Old Trafford thanks to Wayne Rooney’s remarkable back heeled goal was of minimal impact, and could even have been ruled out at the very end by that sublime freak a goalkeeper’s header. For all his past triumphs, Van Gaal has been a severe disappointment at Old Trafford. But Woodward, responsible for the equally unhappy appointment of his predecessor, David Moyes, now out of the money in San Sebastian, is in defensive mode.